You can make appointment bookings and request repeat prescriptions online. In order to make use of this facility, you must be registered as a patient with our Practice. You will be asked to come to the surgery and bring some form of identification with you. We will then issue you with a registration letter which will contain the details below that are unique to you. You must obtain this letter in person from our Practice. You cannot create a registration account without one. Once you have created a registration account you can book your appointments and request your repeat prescription online. If you already have a registration letter, you can use the ‘create your account’ facility by entering your details. Patients must have been registered at Silverdale Medical Centre for at least 12 months before being accepted for this service. 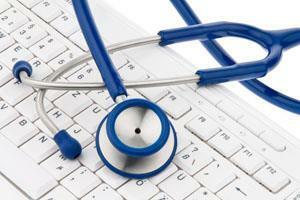 You will also be able to view certain aspects of your medical record online. Access to certain aspects of your medical records is given at the discretion of Silverdale Medical Centre. Patient online access is only available for patients aged over 16 years old. For further information please read the Patient Online information leaflet. Download application form here. This must be brought into Silverdale Medical Centre along with some form of photographic identification. Alternatively, you can ask for a form at reception. Patient Access mobile apps can be used on Apple ios devices (iPhones and iPads) and on Android devices (mobile phone and tablets). They can be downloaded for free from the Apple App Store and from the Google Play Store. Simply click the relevant logo on the page to download. Download Proxy application form here. This form is for carers, but must be signed by the patient. Please note that proxy access to medical records will not be issued for patients aged under 16 years. This must be brought into Silverdale Medical Centre along with some form of photographic identification. Alternatively, you can ask for a form at reception. If you have any queries regarding patient online access, please speak to a receptionist. View our Statement of intent here.